We were underneath a Southwesterly flow this week in western Wyoming out ahead of a Trof of Low-pressure that was over the western US. That kept a decent supply of moist and unstable air overhead that produced late day thunderstorms on Monday, none on Tuesday, and then as that Trof got closer, some rain showers & thunderstorms on Wednesday. 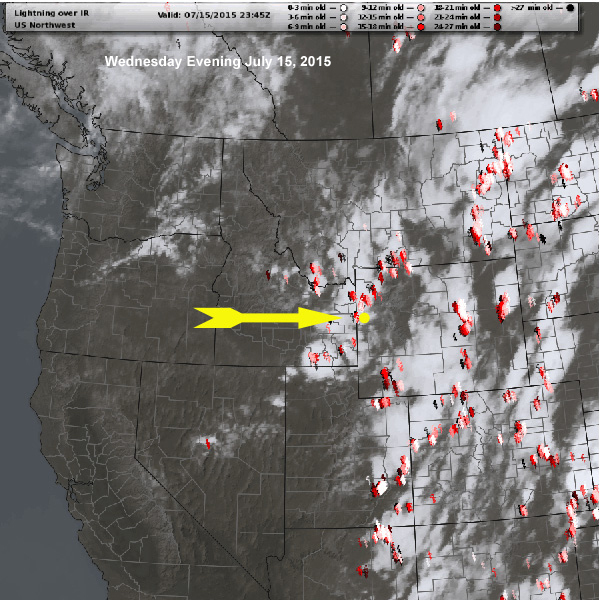 The crescendo of activity was Wednesday evening in Jackson Hole as the cold air aloft within that Trof crossed into western WY, acting just like a cold front passing through. Combine that with the best heating of the day, and good lifting in a Westerly flow over the Tetons, and away ya go! Between 0.19 & 0.26 inches of rainfall in town. 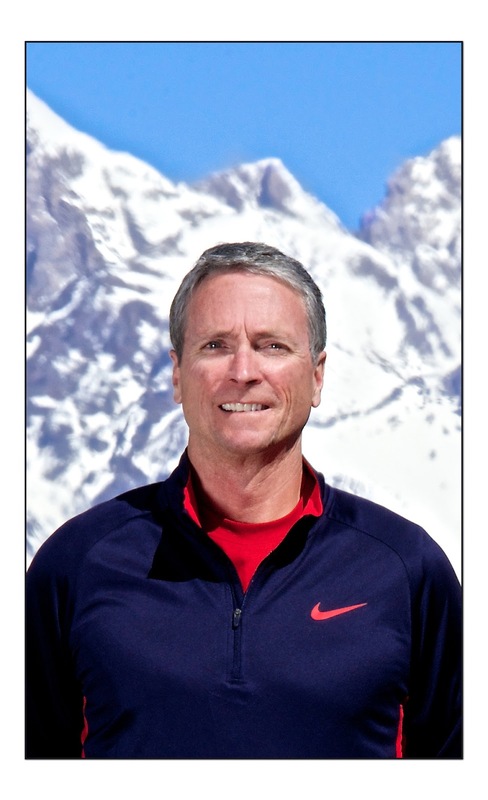 Wind Gust at the Lower Saddle of 76 mph (at 11,610-ft. elevation). There was also a decent amount of lightning along the Teton Range, and a few good strikes near town, as well. Below are some images of weather maps during the height of the activity on Wednesday. Radar with lightning overlay. Jackson is yellow dot. 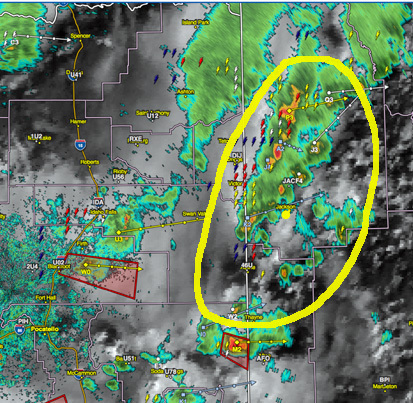 Yellow circle highlights the whole thunderstorm complex. Satellite and lightning strikes, yellow arrow upper level wind direction.